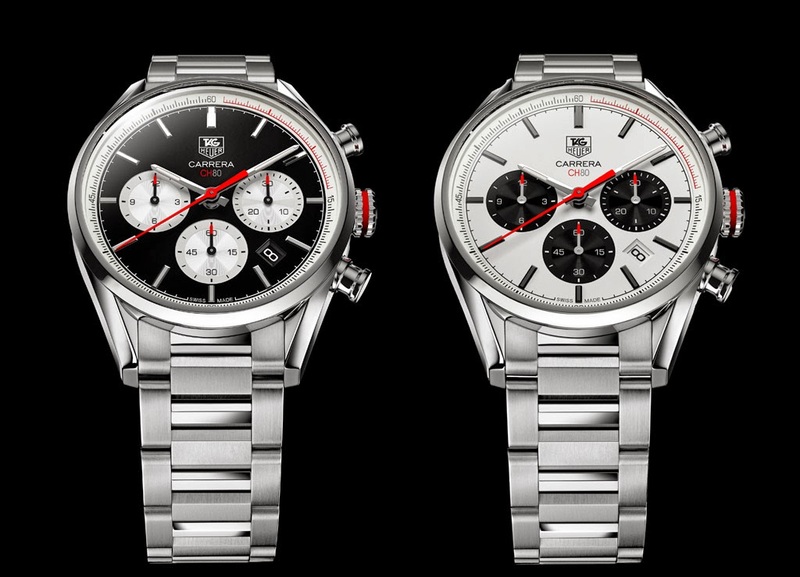 The latest addition to the Tag Heuer Carrera collection is the Carrera Calibre CH 80 Chronograph which houses the latest manufacture movement from Tag Heuer, the Calibre CH 80, whose name alludes to its production site (Chevenez) and its remarkable 80-hour power reserve. Beating at 28,800 vibrations (4Hz) per hour, the Calibre CH 80 comprises 233-part and it is equipped with a vertical clutch system that gives it exceptional power and precision. Daily variation in rate ranges between -4/+6 seconds. The finishing is also outstanding with “Côtes de Genève” decoration and snailing on the blackened tungsten oscillating weight and nickel-plated minutes and gear-train bridges with beveled and polished angles. Powered by this modern automatic movement, the Carrera Calibre CH 80 Chronograph respects the typical aesthetic codes of the Carrera line while accentuating its sporty nature. The polished 41 mm steel case with faceted lugs is fitted with a sapphire crystal case-back showcasing the Calibre CH 80. 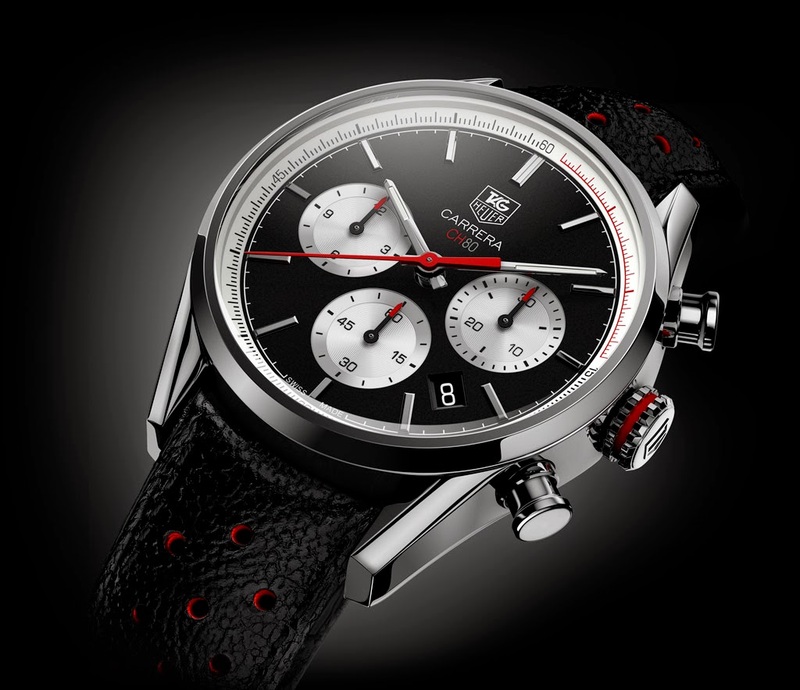 The dial features the chronograph minutes counter at 3 o’clock, the chronograph hours counter at 9 o’clock and small seconds at 6 o’clock and it is available in two versions based on black and white contrasts with red accents on the central seconds hands and the tips of the small hands, as well as on the crown and the first quarter of the minute track. The Tag Heuer Carrera Calibre CH 80 Chronograph can be matched to a black strap in perforated calfskin or to a steel bracelet. 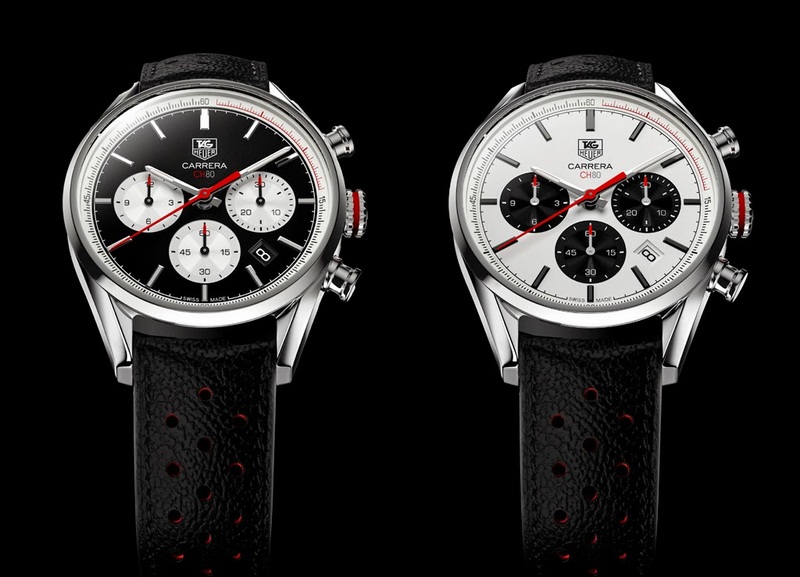 In a press release, Tag Heuer announced the decision to postpone the launch of the Carrera CH80 chronograph, even though the company has completed the development of the movement that powers it. 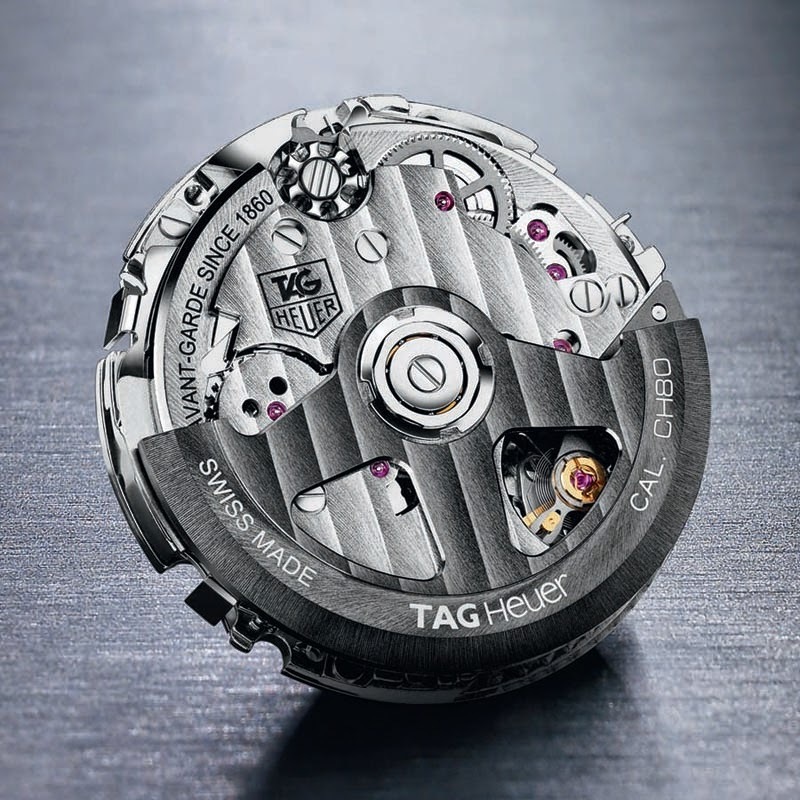 In order to respond more effectively to current market needs, Tag Heuer will focus on the production of a single chronograph movement, the CH1887, launched in 2010. 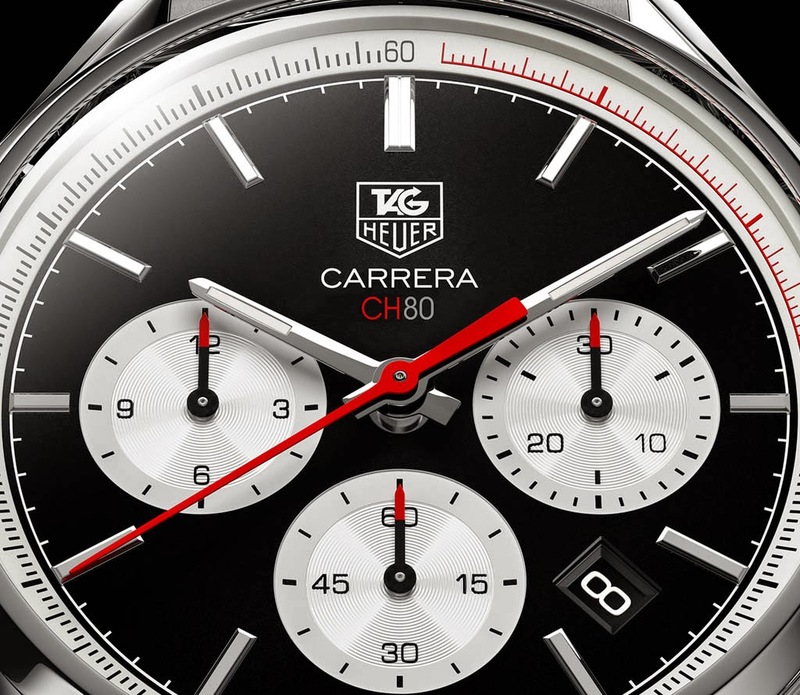 The latest addition to the Tag Heuer Carrera collection is the Carrera Calibre CH 80 Chronograph housing the latest manufacture movement from Tag Heuer, the Calibre CH 80, whose name alludesto its production site (Chevenez) and its remarkable 80-hour power reserve.